The young fold mountains of Himalayas are known to be imbibed with some of the most adventurous trek routes in the world. One such treat is the Brahmatal trek route, which goes through sprawling forests covered in snow at some points and wildly green at the others. Brahmatal trek route also offers enchanting sights of the Himalayan Mountains (some of which are over 7000 meters) and valleys that are enough for the shutterbugs to keep going in the journey. The exhilarating Brahmatal trek starts from the base camp at Lohajung. Lohajung is around 8-10 hours away from Kathgodam. Thus, in order to reach the proposed destination on time, reach Kathgodam as early as 7 am. 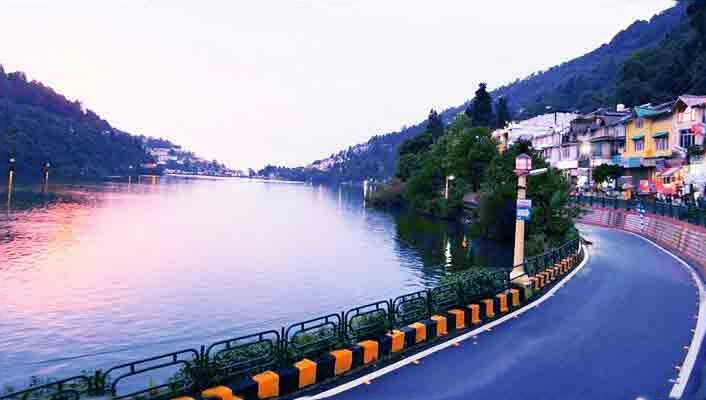 Drive from Kathgodam to Lohajung is a beautiful one as many locations like Bhimtal, Almora, Baijnath and Kausani. 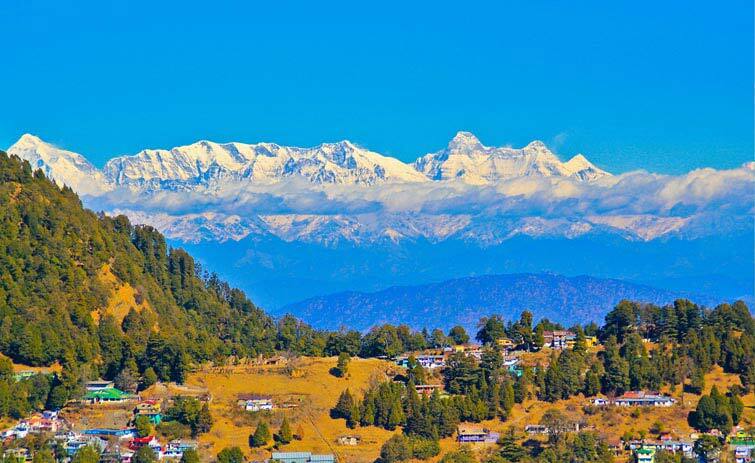 If you wish, you can halt at Kausani to admire the beautiful Himalayan mountain ranges in its background. Various high altitude peaks like Trishul, Maiktoli, Nanda Devi, Ghori Parvat, Nanda Khat, Hathi Parvat and Ghori Parvat are visible from the heights of Kasauni. As you will reach Kathgodam, make a check-in to a guest house for an overnight stay. Trekking from Lohajung begins on a well-marked stone trail. 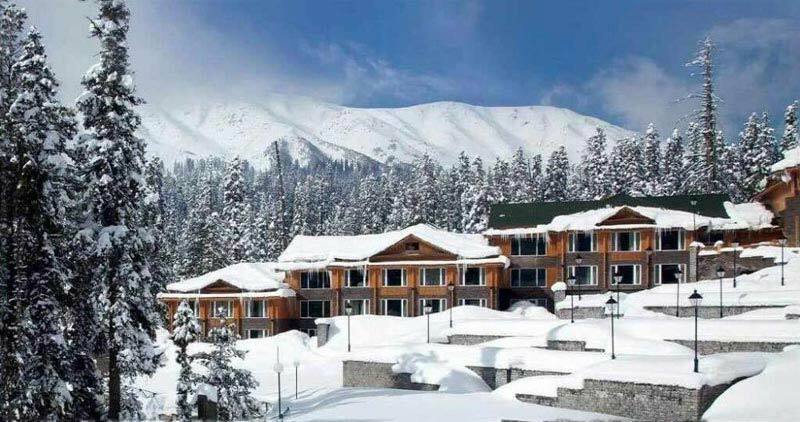 The upper regions of Lohajung are dominated by forest surroundings that have few houses lined up in a row. First in the list of places that would be coming on your trek is Mandoli village. As you will pass it, climb higher and reach Kail valley. This beautiful valley is a result of the confluence of Pindari and Kail rivers. Coming next is Budla, which have an alignment of rhododendron trees built all around the homes. On climbing close to 2590 meters, a 10 meter bridge, known as Linkgaad would be coming your way. After that, you will reach Begum. It is highly advised you make a stoppage at Begum for some time. From here, you can enjoy the scenic beauty of Navali Bugyal. 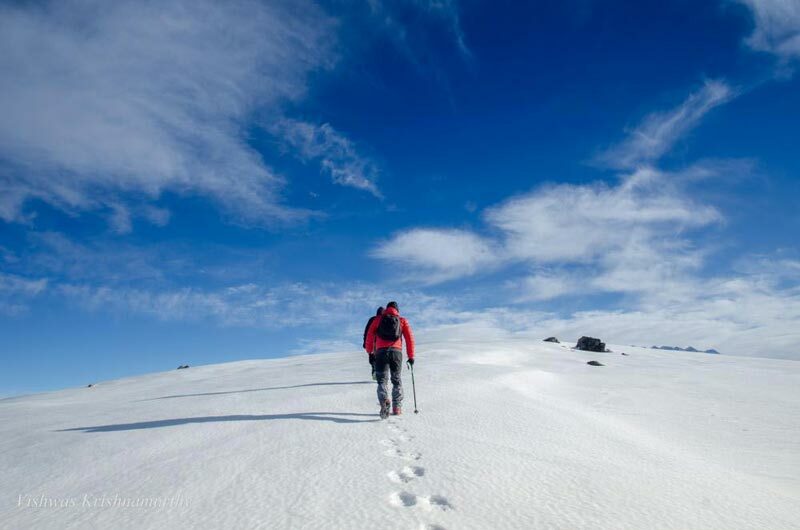 As your tiredness gets worn off, start with the trekking again. After walking for 10-15 minutes, you will come across another stream. Then after an hour walk, you will reach Gujrani stream. Best part of the trekking will come while heading to Bekaltal. 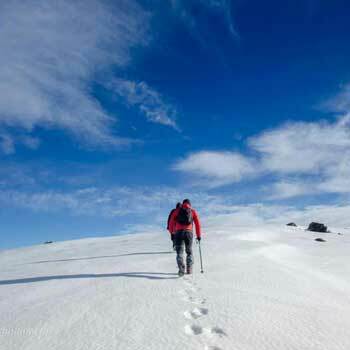 Trek route to Bekaltal is a beautiful one and takes close to 70 minutes to complete it. 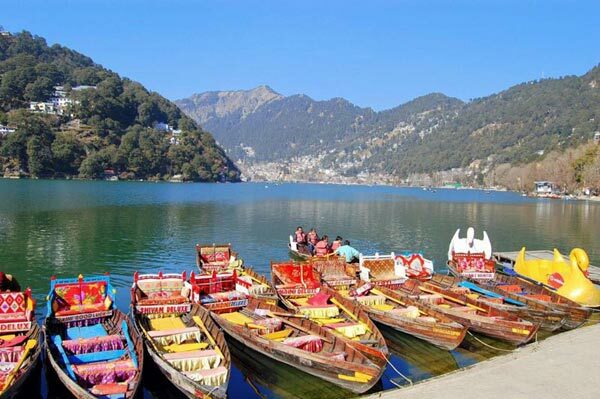 It is filled with thick oak forests and has a frozen lake that looks highly breathtaking. On reaching Beakaltal, you would be camping near Khopdaliya. At such an altitude, snowfall is highly expected. If that happens, it will take around 3-4 hours to reach the tranquil Brahmatal. Feel free to continue your trekking or camp at Khabekhal. Day 4 will bring you back on the trek route to Brahmatal. After walking for an hour, the route will take you to Chota Jhandidar. Then comes the Bada Jhandidar. The route surpassing both of these destinations has breathtaking valleys on its sides. You will be pleased by the sight of the mighty Mt. Nandaghunti and Trishul on your route. After walking for another few hours (2.5 to 3 hours), you will be at Brahmatal Lake. From the peak of Brahmatal, your camp site (Daldum) is around 3 hours away. Route to the campsite passes through forests. After relaxing the whole night, leave the camp site for your return journey to Lohajung (3.7 Km, 2.5 hours away). As you will done with half an hour walking, you will reach Malling. There would be few houses on the slopes. Follow the stone trails and you will reach Lohajung. Overnight stay at guest house. Post breakfast, guests would be driven to Kathgodam. From there, catch the next train for your onward journey back home. 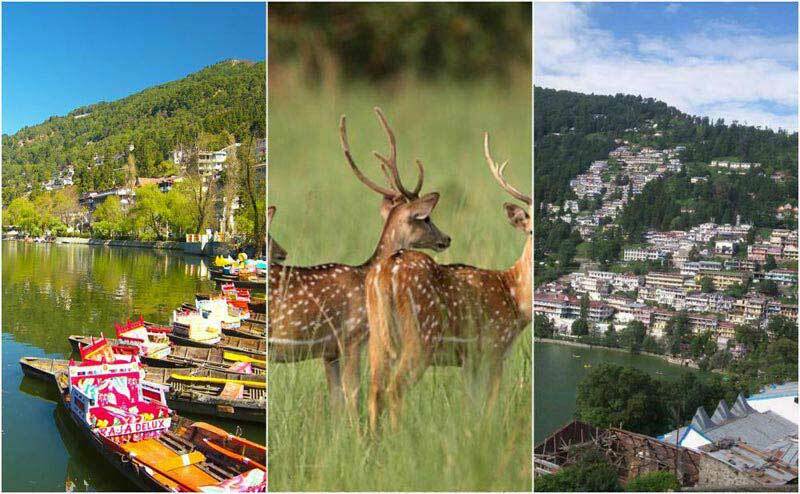 Destinations Covered : Nainital, Kausani, Mukteshwar, Bhimtal, ..